Im in California and the season of mahakam is not active in my game. it's still greyed out. I updated and everything. Is the release delayed? It appears that way. I have the same problem. Does it come with any seasonal tree? I saw something of the likes in the reward book yesterday, maybe its unlocked now? Yeah me too... 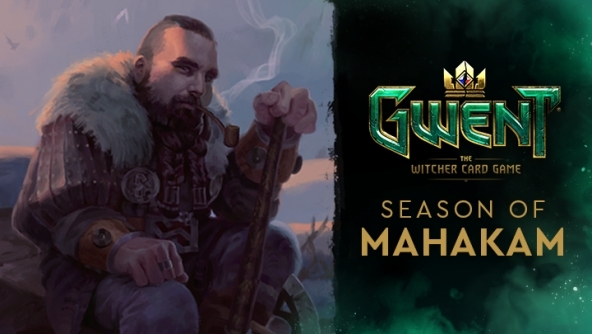 But i guess it wont be long till the tree is unlocked, since seasons are usually 1 month long, and the tree will probably end with the season of Mahakam which just started. Seasonal trees are not available yet. Will they become available during this season, or later? Also, can the GM title/border still be obtained? Yes, Vattier. When will you "reveal" the unlock date? Wondering if we'd have to spend that many reward points every month. That seems nigh impossible with +-40 nodes. Im storing 80 reward points, in case some of this seasonal trees comes and we'll only have like 1-3 weeks to filll them. What are the season end rewards now in new Gwent? Why have you removed the Reward trees from the game so players have no idea what the rewards are based on how you play or place in Ladder? Speaking or removed stuff why have you removed all the information, titles, descriptions, backstory from all the Trinkets so you have no idea what the trinkets are, how you got them, and there is no backstory for the avatars, like WTF? We are still working on the seasonal trees, I cannot give you any specific date when they become available, I'm sorry. We're planning to cycle rewards yearly, so that players who missed rewards in the current season could get them next year. Season has started. The rewards for the current season are the Reward Points which you will be able to use once the seasonal trees become available. Can you let us know what the actual season rewards are? i.e. how many reward points can we get and how. It just seems a lot of informational stuff is missing from HC right now and there is no way to easily tell what you can actually get from participating in the ranked seasons; in the old Gwent that was clear from the reward trees but now I just have no idea because its been removed from the game. I feel like I hit a rewards points wall, and am not sure how I'm supposed to get them at a decent rate. The contracts page has some info, but it feels like it's going to be an eternity before I have enough for a second costume unlock. Hoping we learn more about season end rewards, and how rewards points will be dolled out. Can I just mention that this means so much to me and I don't think you can even begin to realize. Exclusives in any game just turn me off these days and I've only thought one other game was caring enough to combat it (Guild Wars 2). I really appreciate this endeavor; makes the game way more replayable without worrying about missing out forever. Why when we rank-up we win nothing ? no kegs, no powder, no skill point ? we just win nothing wen we rank-up. You gain contracts (achievements), giving you points to spend on kegs, powder and other stuff. very good joke ! I like it ! You still get rewards for wins like usual. Evrery 6th, 18th round won per day... plus contracts. There is not reward tab like it used to be. And you should get something when you rank up, dont know.